MORe (Metroplex Online Resources) is an online portal showcasing the electronic resources and databases offered by four library systems in the North Texas area. Resources are provided by the cities of Arlington, Grand Prairie, Mansfield, and Kennedale. You can access FREE online resources such as magazines, audiobooks, GED help, homework help, ebooks, genealogy, and more! Many of our library patrons are amazed at the depth of information they can find using our online resources. You can even learn a foreign language or have a book read along as your child reads! Visit our Resources page to get started! Quick Tip! You must click on the name of the resource you want to use, then select your library and enter your library card number (not your username) and password to access the resource. Arlington Public Library provides services aligned with our strategic plan through a network of seven library facilities, as well as The Literacy House and our mobile computing lab, TechLiNK. The Grand Prairie Public Library System has one mission: Educate. Everyone. 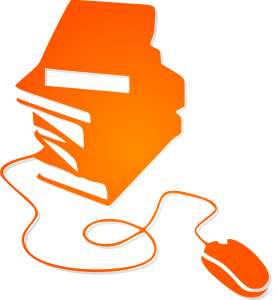 Our three locations and online presence provide library services to the citizens of Grand Prairie and surrounding cities, including a circulating collection of popular classics, latest bestsellers, and a broad range of informational topics; a collection of e-materials in the latest formats; and dynamic programming for all ages. Information on all of our programs and services can be found online at www.gptx.org/library, by calling 972-237-5700, by email at infodesk@gptx.org, or in person at any library location. Kennedale Public Library welcomes all to share in the joy of exploring the world of information and the realms of imagination. The library houses over 17,000 items including books, music compact discs (CDs), audio books on CDs and DVDs. In addition to these items, hundreds of people enter the library to utilize electronic resources, access the Internet through the Library's fiber-optic connection, enjoy state-of-the-art Wi-fi service, view a Library exhibit, or attend one of the Library's many events. Mansfield Public Library offers Books, Audiobooks, Magazines, Movies, Wifi, Downloadable ebooks and eAudioBooks, and Computers with Internet access and Microsoft Office. The library serves a community of over 55,000. The city of Mansfield is located mostly in Tarrant county, with small parts in Ellis and Johnson counties.